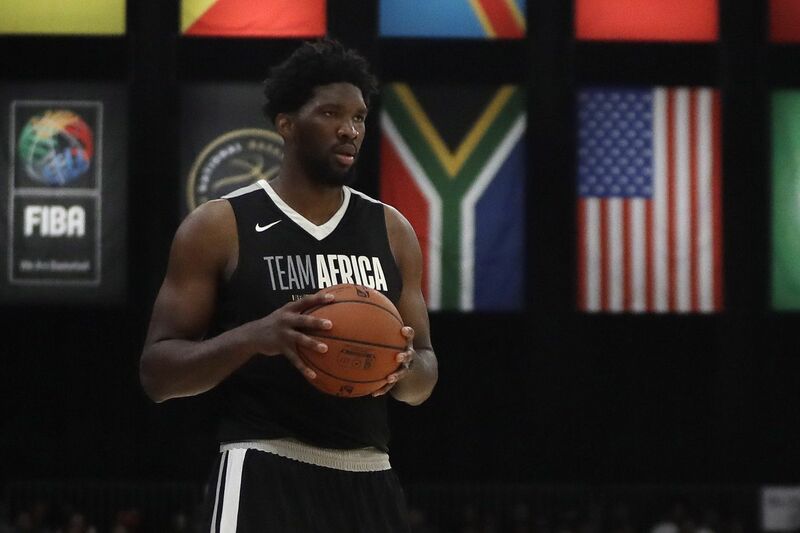 Joel Embiid found time to participate in the NBA Africa Game when he wasn't playing around with baby animals. If you're a Sixers fan, you may feel a little panicked knowing your star center is playing around with wild animals. But who could resist something as cute as this? Why is Joel Embiid in South Africa petting a leopard? The Cameroon native is visiting his home continent for the NBA Africa Game, which pits NBA players with ties to Africa against Team World in an exhibition game. Team World beat Team Africa 96-92 in Pretoria, South Africa, on Saturday, despite 24 points from Embiid and another 16 from his former teammate Timothe Luwawu-Cabarrot. The game was the closing event of the NBA program Basketball Without Borders, which works to spread the game of basketball in Africa and raise money for charity. Embiid may have been busy working with kids, but that doesn't mean he didn't have time for a little fun. It appears he visited a wildlife refuge, where he got to meet the leopard in the video above. He also got up close and personal with an adorable lion cub who happened to have some not-so-adorable teeth. Caution: This video contains explicit language. It appears, however, that once Embiid and the lion got to know each other, they got along pretty well. Embiid himself participated in Basketball Without Borders just seven years ago. He didn't begin playing basketball until age 15 (he primarily played soccer) and ended up earning a scholarship to Kansas and, of course, became a first-round pick in the NBA draft when the Sixers picked him third in 2014. "That's something I want to do every year, just come back and give back," he said during a conference call last week. "When I was in that situation, I felt great being among NBA players. I wanted to learn from them. I wanted to touch them because I was so amazed by them." So, what does this all mean for the upcoming season? Don't think Embiid's not putting in work while in South Africa.